If you’ve decided to undertake a bathroom remodel, congratulations! Upgrading your bathroom can make your home more inviting and gives you a chance to rethink the layout so your bathroom makes sense for your lifestyle. However, undertaking any remodeling project is a big job and it’s important to do it right. In today’s blog, your Silver Spring plumber shares some tips and advice on things you should keep in mind during your next bathroom remodel. Keep these tips in mind during your next Silver Spring bathroom remodel. Before getting too deep into the planning process, you’ll need to establish how much you are comfortable spending. Once you have begun the remodel it’s easy to fall in love with gorgeous fixtures and must-have luxury items so by establishing a budget from the outset you will have a better idea of what you can actually afford to splurge on. It’s always wise to include at 10-20% buffer to cover unexpected costs that always seem to arise during remodeling projects. Start making a list of all the things you love about your bathroom and the things that drive you crazy. Look for inspiration online and at friends’ houses to gain ideas for the features you need to include in your new bathroom. It’s always wise to break down your list into categories ranked by how much you need a specific items. Start with needs, end with wants, and then compare it against your budget to decide what to invest in. Even if you’re an avid do-it-yourselfer and plan on undertaking most of the work yourself it is still important to bring in an expert for some of the tougher jobs. At minimum you should hire an experienced plumber to help you plan design and install your plumbing to ensure that it meets all codes. You should also invest in paying for a qualified electrician as electrical work should never be attempted by anyone who is not a trained professional. Want to start planning your next bathroom remodel? 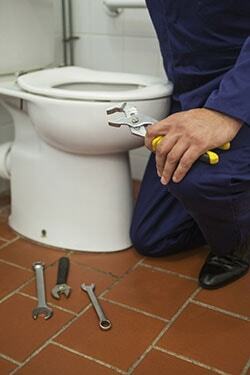 Give Master Plumbing & Mechanical a call at 301-650-9100 and let our experienced plumbers get the job done right. No job is too small and now that school is out and summer is winding down it’s the perfect time to take on that plumbing project that you’ve been putting off. For over 30 years, Master Plumbing & Mechanical has served the Washington, D.C. area, including Montgomery and Prince George’s county. Founded by Joe Maier and Billy Silk and rooted in personal, neighborly service, we’ve built our reputation on recommendations from our satisfied customers. This entry was posted on Thursday, October 15th, 2015 at 2:36 pm. Both comments and pings are currently closed.